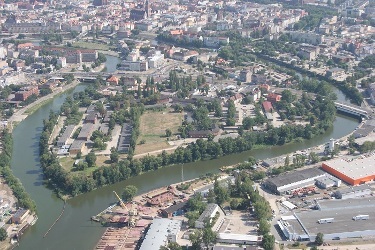 One of the most attractive properties in the resource of Military Property Agency is Kępa Mieszczańska in Wrocław. This built-up property is situated in the most attractive downtown part of Wrocław, in the north of an island called Kępa Mieszczańska, at the fork of two canals of the Odra river: the Northern Odra and the Southern Odra canals. In the south it’s adjacent to Mieszczańska and Dmowskiego streets. The property is so attractive owing to its proximity to the Old Market and the University – approximately a 5 minute walk along the pedestrian route. It also has excellent connections with arterial roads heading towards Poznań and Warsaw. Right since the establishment of the city, the island has always had a strategic importance. It was a part of city’s fortifications, and then it was a heavily fortified stronghold. 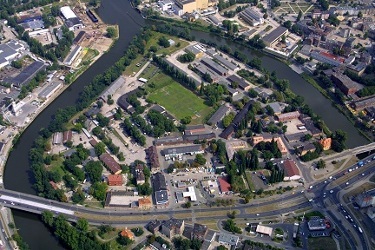 In 19th century the military hospital was situated there and subsequently was transformed into cavalry barracks. 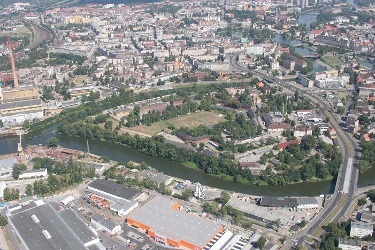 Most recently , the property was used as a workshop – storage compound.The land is about 5 meters above the level of the Odra river. Its borders from the river are framed by a stone waterfront regularly overgrown with trees. 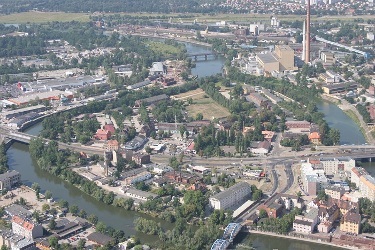 On the sold land, it is possible to include the following development: multi-family residential buildings, retail trade, restaurants and entertainment, culture, offices, tourism agencies, minor services, science and higher education, health and social services, public safety, trade fair and exhibition activities, manufacturing, construction, wholesale trade, warehousing, logistics, transportation and telecommunications services, waste management, sport, leisure and parks.